One region where it’s notoriously difficult to win internship and full-time offers is Hong Kong. Not only are you competing with approximately half the population of mainland China (they’re even more obsessed with finance), you’re also up against candidates from other East Asian countries, plus plenty of people studying in the US, UK, and other regions. And then there are the language tests, difficult technical questions, and the need to go there in-person for part of the interview process. But it’s still possible to win offers there even if you have no family background in Asia and you’re coming from a non-target school. 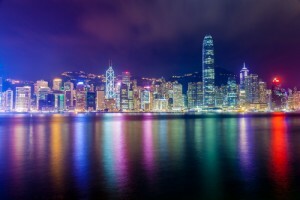 What to expect in sales & trading interviews, assessment centers, and more… in Hong Kong. Q: Take us back to the beginning and explain how your story started. A: Sure. In high school, I was actually quite lazy and didn’t perform well, even as many people around me were getting into Ivy League schools. The best I could do was a local college that wasn’t particularly well-known. My final year in high school was a “wake-up call,” where I realized that I needed to do something with my life – so when I entered university, I focused on winning solid internships from day 1. Although my university wasn’t great, it did offer a study abroad program in Asia where I would spend over a year living and studying in Hong Kong and Beijing. I thought it would be a great way to set myself apart and see the world at the same time. Before arriving at university, I had researched careers and knew that I wanted to be in finance since it matched my own interests. Plus, finance is one of the only 2 careers you can pursue in Hong Kong. Q: OK, sure, but most of these study abroad programs take place in your 2nd or 3rd year of university – what were you planning to do before the program began? A: There were very few alumni from my school in the finance industry, but I reached out to the few alumni I could find, plus several friends and family connections. I also joined all the business and finance-related clubs on campus, and got more networking opportunities through those. At the time, I was also 100% set on doing on investment banking. So I managed to get a short and informal internship at a small bank in my region… except it was in the accounting department rather than the M&A team or another industry/product group. Q: Ouch. Still, not a bad result for your first year. A: Yeah, the middle / back office is never ideal, but it was a relatively small bank and so it was also easier to contact people on different teams. Also, since it was only an internship following my first year, my boss encouraged me to work on anything I could find. He wasn’t super-concerned with “claiming me” and getting me to come back full-time years in advance. So a few weeks after I started, I reached out to the M&A team, told them my story, and said I would be happy to do any work I could for them. They liked my story and were open to giving me a few tasks they needed help with. It ended up being a lot of clerical work – sorting different companies, firms, company profiles, and so on – and also a bit of Excel work with comparing the cost structures of different companies. They did a lot of distressed deals that required more advanced technical knowledge, so I could not contribute much there. Q: OK, so you got mostly accounting experience and did a lot of administrative work at this bank. What next? A: I spent my entire 2nd year in school studying in Hong Kong and Beijing, with a few breaks in between. I asked about interning at the small bank again, but they had no deal activity – one of my former bosses, though, had gone off to start his own investment firm and he agreed to take me on for another short internship and have me help with research and analysis. After working there, the alarm bells started going off that maybe I shouldn’t pursue investment banking and that sales & trading or getting hedge fund jobs were better for me. Q: Right, but how could you really come to that conclusion based on 2 short internships? A: It wasn’t just the work itself – true, I did like generating ideas more than what they had me doing in IB, but I also fit in with this investment research team a lot better. Some of it was also quality of life: I couldn’t imagine spending years of my life working investment banking hours in a place like Hong Kong, even if I somehow got good enough at Mandarin to work in IB there. Even if I had decided to stay in the US, I would have had the same doubts. Q: OK, so you completed this brief internship, started thinking more about sales & trading / public markets roles, and then you went back to Asia right afterward? A: Right, I went back afterward and spent time networking and meeting more people in Hong Kong. I spent a lot of time looking up people in sales & trading and money management on LinkedIn, and after finding their names I would always guess their email addresses – I got a much better response rate by emailing them rather than messaging them on LinkedIn. So I tried combinations like firstname.lastname@firmname.com, firstname_lastname@firmname.com, and sent them brief messages where I tried to seem as interesting as possible. My response rate was fairly good because I focused on Westerners who were also working in finance in Hong Kong, and they’re pretty easy to find on LinkedIn. Q: Didn’t anyone ask how you found them? What did you say when they did? A: Some asked, but some didn’t even bother – if they did ask, I gave a vague response and said that I saw their name online for an event listing or on the company website or something like that. I learned a lot from this, but most of my contacts and conversations led nowhere. Instead, one random encounter was responsible for 90% of my results: I was in Beijing for the study abroad program, and I randomly emailed one contact in sales & trading in New York (I had also found him on LinkedIn). It turned out that he was headed to Beijing in a few hours, and he wanted to meet up with me there since I knew the city decently by that point. We met up, and he knew a few people from his analyst class who were now working in Hong Kong at large banks there – and so that single, random connection got me interviews. Q: Yeah, when you’re networking 99 out of 100 contacts will lead nowhere… but you still have to contact those 99 people first. So what did you do when you came back from the study abroad program? A: As I mentioned before, I had also started reaching out to traders in New York, almost entirely via LinkedIn, and I did an NYC networking weekend trip when I arrived back in the US. I ended up visiting a bunch of different trading floors at bulge bracket banks, and I probably would have gotten at least a few interviews there just through aggressive networking. I was still more interested in working in HK, but I used the NYC networking to “hedge myself” and make sure that I’d end up with at least one offer somewhere. And I thought I could always transfer to HK later on even if I started out working in New York. Q: …But, of course, you didn’t do that. What happened next? A: I stayed in touch with the guy I met in Beijing, and he referred me to his colleagues in Hong Kong – and they recommended me for first round interviews there. First round interviews start earlier in Asia, so they scheduled mine for the end of November / beginning of December, before I could officially apply to New York internships. Q: And what was the first round like? A: I spoke exclusively with senior people at the bank – Executive Directors (EDs) and Managing Directors (MDs). I had 2 interviews in the first round, and the first interview was mostly fit-based, with a few technical questions; the second interview turned very technical and he asked me about currency exchange rates, macroeconomics, and the usual math / probability questions. Both interviewers also asked me to pitch stocks. Q: Right, we’ve covered a lot of that before – what was different about it in Hong Kong? A: First off, you MUST have ideas for Asian stocks. They don’t have to be Chinese or Hong Kong stocks, necessarily, but you definitely don’t want to go in with stock pitches for US or European companies. Sometimes it is harder to find information on Asian stocks, so plan to devote extra time to this part. You can find ideas for Chinese stocks on bricadr.com; Seeking Alpha also has coverage of Chinese stocks with ADRs. Once you’ve found one you’re interested in, get access to a Bloomberg terminal and type the ticker followed by “BRC” to pull up all bank-issued reports on the company. Beyond the stock pitches, they will ask you about policy issues and how those issues impact the markets – in all the East Asian countries. They asked me about possible changes to the one child policy, Abe’s “Three Arrows” policy, and more. Just because it’s Hong Kong doesn’t mean they will focus on China-related questions – you need to be up on the news in Japan, Korea, Taiwan, and even Southeast Asia because they will ask about anything and everything in those countries. Q: Thanks for the tips – so what happened next in this recruiting process? You mentioned that you had to go through an assessment center with group exercises and case studies. A: Right… if you pass the first round, you get invited to a 2-day “assessment center” where everyone interviews in-person. Day 1: This is just a tour where you see the offices and meet analysts there, but you don’t speak with any decision-makers. Usually, you take the math test and verbal test this day. Day 2: You complete a case study, a group exercise, and 3 normal face-to-face interviews. The math test and verbal test are similar to what you’ve written about before – they use the SHL tests and are mostly verifying that you can communicate and do basic math under time pressure. In IB assessment centers they’ll ask you to advise a company on its financing options or on what company to acquire, but in the S&T assessment center they gave me 30 minutes to prepare a stock pitch on a company they picked. So you have to work very, very quickly and sift through a massive amount of research and reports; you get 30 minutes to go through it and then 5 minutes to make your presentation. More than anything else, you need to form an opinion quickly and then avoid changing your opinion. It doesn’t even matter if you’re correct, because it’s 100% about your presentation itself – come up with your investment thesis in 5-10 minutes, and then spend the rest of the time finding data to support and structure your pitch. Q: And I’m assuming they didn’t care at all about your language abilities? A: For sales & trading, no. All the interviews were in English and they didn’t give me any writing or language tests. Almost everyone else there was Asian or Asian-American, so I was one of the few interviewees with no obvious connection to the region. Q: But I’m assuming that also made you stand out. A: It did – people liked my story because it was uncommon. Interviewers spent a lot of time asking me about my story, but far less time grilling me with technical questions since I was so different from everyone else there. Other interviewees seemed to get constant brain teasers and math questions, though, so be prepared for anything – especially if you’re not walking in with an unusual story like I was. Q: And can you give us a sense of the numbers in this process? Everyone says Hong Kong is competitive, but what does that really mean? A: I don’t have an exact count for you, but I do know that thousands of people – maybe up to 10,000 – apply to S&T internships at a single bank in Hong Kong each year. They whittled it down and interviewed perhaps ~100 people, and then they invited 27 people in to interview face-to-face at this assessment center. So, bottom-line: your odds of being selected initially aren’t great, but once you get the first round interview it’s not necessarily as hard as you might think to advance to the next rounds. NOTE: These are the numbers for the bank I’m familiar with – I would assume it’s different elsewhere. Q: Thanks for sharing all that – any other thoughts or important points on your story that we haven’t already covered? A: With networking, as you’ve said before, the most important point is to make people like you. If they think you’re a normal person and you’re interesting/fun to be around, they will help you out and they’ll spend less time asking you complicated / technical questions. If you’re from a background similar to my own and you need a way to stand out, go study abroad. Not only will it give you a story that sets you apart from everyone else, but it may also lead you closer to the work you actually want to be doing. Q: Thanks for your time and sharing your story! Here’s an account of how his internship in Hong Kong went. I am a student of the inaugural class (Class of 2017) of the World Bachelor in Business, a program created through the collaboration of the University of Southern California (Los Angeles), HKUST, and Bocconi University (Milan). Our cohort, which consists of 45 students, spends their first year at USC, second year at HKUST, third year at Bocconi, and we individually select one of the three schools to finish the last year of our undergraduate business education. We earn three degrees, with accreditation on all three continents. Several of us our interested in pursuing a career in finance. I was wondering how our program would match up to top tier universities in the US and UK. Do we have a chance at competing against those students? Is our program an advantage or disadvantage for IB recruiting in HK (and elsewhere)? Unless you’re fluent in Mandarin and can edit a pitch book in Chinese, it is nearly impossible to get into IBD in HK. Of course, trading would be a different story. What Steve said: you are at a disadvantage recruiting because HK tends to favor the most prestigious schools worldwide over everything else, pus you need to be native-level at Mandarin to have a good shot, at least for IB roles. I won’t say that you “can’t” work in HK, but if you want to do so you’ll have to network a crazy amount and aim for non-IB roles that don’t require language skills. Bocconi is pretty good and would get you probably a first round. HKUST and USC would definitely a “no”. When did all this happen? Is he still in HK? If the interviewee is available, would like to meet to know more. I identify quite a bit with him. Within the past year – I believe he is doing the internship there now or is about to start soon. I can ask him if he’s willing to speak, but no guarantees because sometimes interviewees do not like to reveal their identity. See my response above.. he networked to win the role and had a strong connection (that was the point of the story). What you said is not entirely true. I was born in the US and moved to Asia. Now I am a ED of a BB in sales and trading. I did a lot of recruiting over the year. I would say we screen out resumes from 13 schools in the US and UK for first round interview. We don’t even look at the resumes from “relatively unknown” schools. Credential is extremely important in Asia. Second, we only have a handful of interns every year (around 10-15). While we lose 1 or 2 to NY office for full time roles, which is expected, our full time recruiting is as competitive as does the internship recruiting. The reason that credentials matter so much is because we only trust the quality of students from schools like Harvard Princeton Yale and Oxbridge. That’s interesting. Would you say that having a solid internship, for example, a Tier 2 S&T internship role the previous year, would help overcome the academic credentials aspect? It might help a bit, but you really need a strong connection to tip the odds in your favor – it is very competitive and prestige-focused, so you normally need a strong recommendation from someone there or multiple people there to get past that. Yes, but as mentioned in the article he networked to win the role… that is how he got past the initial resume screening.